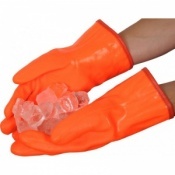 The BoaFlex Chemical Resistant Glove R430 are a tough, chemical resistant glove with soft and flexible cuff. The BoaFlex Chemical Resistant Glove R430 are made from specially formulated PVC which remains flexible at low temperatures. 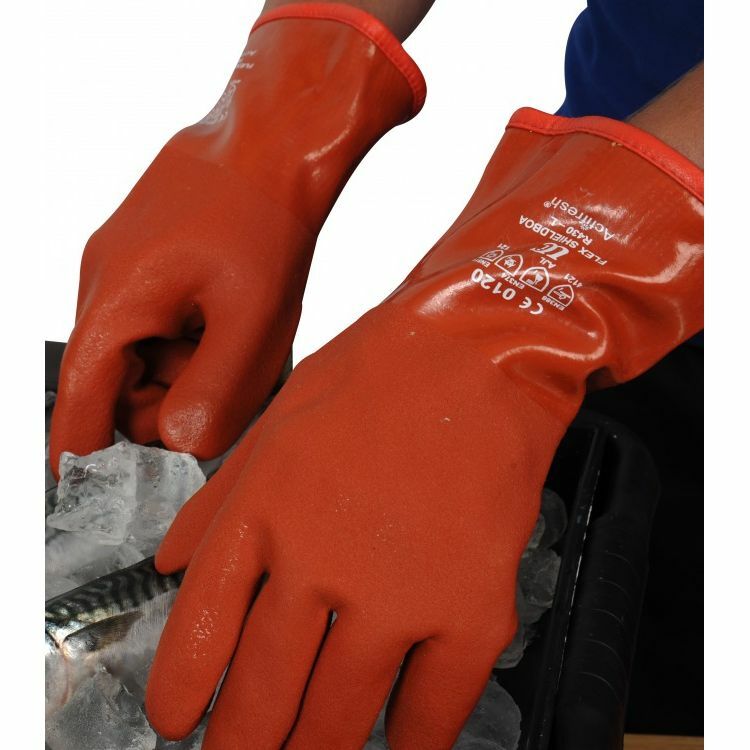 The triple dipped glove area of the BoaFlex Chemical Resistant Glove R430 feature non-slip coating and knitted Acrylic/Wool lining which gives extra insulation. The Sanitized hygiene function brings increased freshness, comfort and protection over prolonged periods of use. Fully REACH compliant. The product code for these gloves is R430. The BoaFlex Chemical Resistant Glove R430 have been sized according to EN 420, which governs a range of features about gloves including standardised sizing. Please measure the circumference and length of your hand and see below for the size of glove that is necessary. Three sizes of these gloves are available.